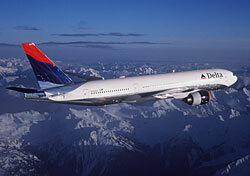 The devaluation of Delta’s SkyMiles program continues. Yesterday, it was the company’s plan to discontinue its round-the-world awards. Today, it’s the announcement that it will eliminate domestic upgrades for elite SkyMiles members on its cheapest fares. Furthermore, Basic Economy fares will not be eligible for paid upgrades; paid, complimentary, or discounted Economy Comfort; paid or complimentary Preferred Seats; or same-day confirmed or same-day standby travel changes. To be sure, Basic Economy fares are meant to be restrictive. They’re only offered on flights where Delta competes head-to-head with ultra-low-cost carriers (think Spirit). It’s understandable, therefore, that the average penny-pincher should expect a bare-bones travel experience when flying on a Basic Economy fare. You get what you pay for. But to punish the airline’s best customers along with everyone else? That just seems mean-spirited and short-sighted. Should elites expect better from Delta?